Machine Finish: Barrel is in its unpolished, "as-machined" state and will show light turning marks and slight imperfections. Light Polish: Barrel receives a light "brushed" finish. This leaves the surface uniform and removes most machine marks and blemishes. 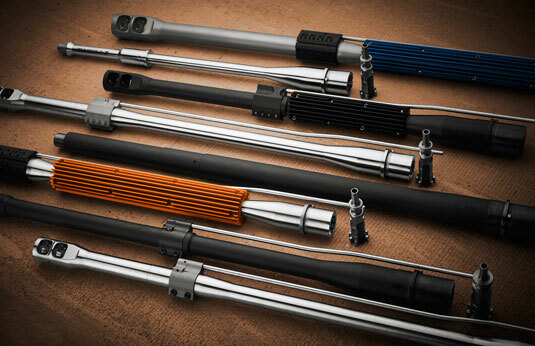 High-Grade Polish: Barrel is polished to a reflective finish on the same level as our complete rifles and barrel kits. Black Teflon™: Barrel receives a uniform low-shine black coating. This barrel takes our short .500 OD Thermal Dissipator (JPTD500S).